First off- a big THANK YOU to you guys! Without y'all, well, we’d have a lot of chicken to eat. This was a huge year of growth for us, with many exciting events along the way, including- the addition of pastured ducks, a trial run at the Independence Farmers’ Market, The Great American Farm Tour’s visit in July, our first ever Farm Tour & Tasting, and a snapping turtle that couldn’t resist the urge… and if you’re clueless as to what I’m talking about check out our Facebook or Instagram, because you obviously can’t count on the ‘monthly newsletter.’ But with the Lord as my witness, we WILL get a newsletter out every month in 2018 or so help my teenage marketing team. Now, speaking of 2018 there are several changes that will be taking place, for both our benefit and yours. We will be adding Raw Milk! This will be the biggest change for sure, but also the most exciting. Not only will it be completely grass-fed – NO GRAIN - but A2/A2! If you aren't familiar with the difference between A1 and A2 milk, the world wide web has plenty of information on it. Simply put, it’s the best milk possible. To help cover the initial cost of this exciting endeavor and to guarantee your milk each week, we will be offering milk for pre-sale at a discounted price. This will allow us to begin quickly and with more supply, and allow you to save big bucks on a staple item. Regular price per gallon will be $12.00. Pre-buy 26 gallons or more for the year and save 10% a gallon. We have a limited amount of milk available, so act fast! We are also excited to announce that we will be offering produce from St. Clair Farmstead this year, both on farm and for pickups. Some of you met Nathan St. Clair on the Farm Tour, or at the Brookside Farmers Market this year, and can testify to the wonderful flavor of his fresh produce and the organic practices he uses. He will also have a limited amount of CSAs available this year, which you would be able to pick up at any of our drop-offs, along with your order. More details can be found at facebook.com/stclairfarmstead. Ducks were a blast and will be back! 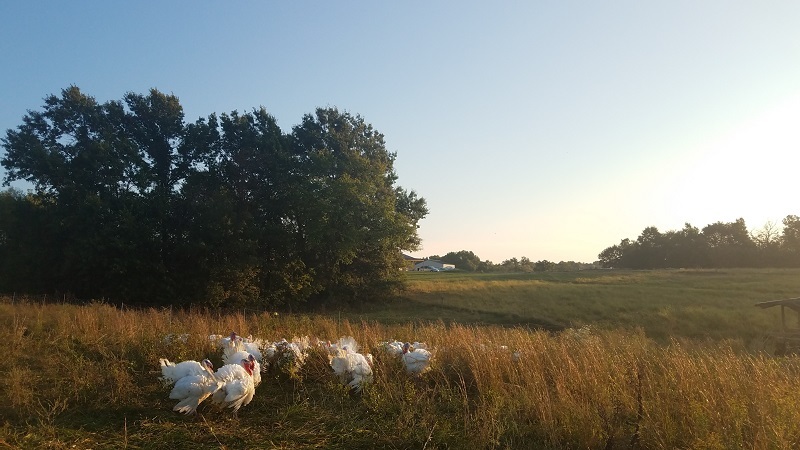 Remi and Reeves tried it out this year with 60 pastured ducks, and have decided that they both enjoy them and will continue this as a business venture. That being said, we will have more roasters available in May, as well as cuts. And a new website is also on the way! This will be a great help to us, as we know our current site is difficult to navigate, but it is also hard to manage. What we currently use is open-sourced and bare bones, and Remi has done his best over the past two years to adapt it to our needs, but just doesn’t have the time to do what we’d like with it. 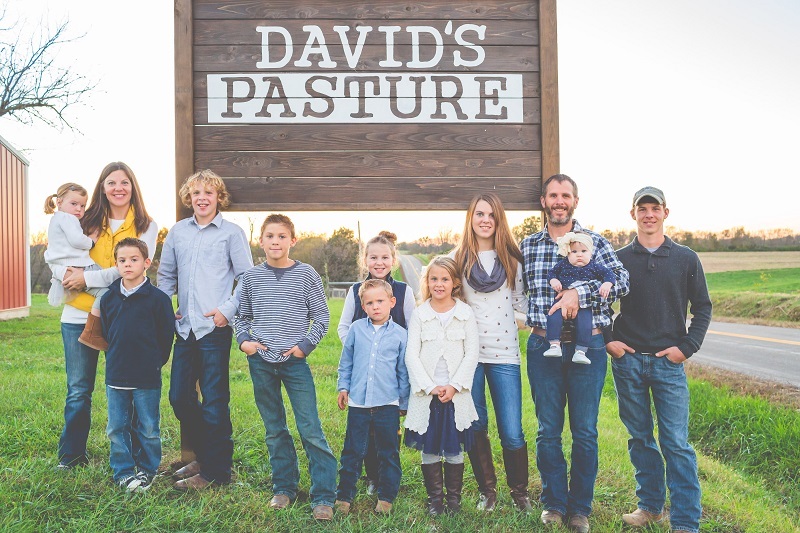 Fortunately there was a small Indiana farm with this same problem, so they developed a web platform friendly to farmers and fit for a direct-market system. It will be easier to navigate, place and edit orders with, and will make it easier for us to keep inventory up to date, which has been a real struggle in the past. 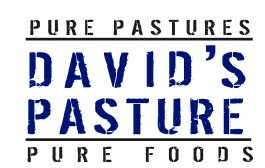 We plan on making the switch the first of the year, the only thing you will have to do is go to eatdavidspasture.com and sign-up. For the sake of keeping all private info private, we ask that you create a new account, which shouldn't take long and will make sure we have your most current information. Farmers marketsOrders for both dropoffs and farmers markets will be priced the same as on-farm, plus the delivery fee. This gives you the opportunity to receive a lower price at market by ordering ahead. We will continue at both the Brookside and Independence Farmers Markets for the 2018 season. We enjoyed IFM this year, and those who support us here have become dear. There are also rumors that it will move to a new location (with a pavilion!) so stay tuned. And as with BFM, we prefer you order ahead of time, to make sure that we have what you need that week and save yourself money on city tax and market prices. Pickups; this is an area where the new site will especially allow us to grow and better accommodate customers both old and new. Upon signing up you will choose the most convenient pickup location, whether it be a local dropoff(bi-weekly) or farmers market(weekly), and it will be remembered for future orders. If at any time you would like to change locations you will be able to easily do so. Or, if you would like to start a dropoff in your area you can easily suggest one to add. As of now we will continue with both the current Lee's Summit and Oak Grove dropoffs, but are also looking to add more. And yes, we ran out of Thanksgiving turkeys AGAIN. But on the bright side, ground turkey, deli sliced turkey breast, and smoked turkey legs will all be ready first of the year! And to keep these hot items in supply, we will be raising a spring batch of turkeys in 2018, in addition to those in the fall. And one last thing: we do our best to always keep stock fresh, which means getting rid of overflow. Right now we have a lot of lard, but to your benefit, as we’d like to turn this opportunity into a blessing for you to enjoy. So with any on-farm purchase for the rest of the year, get a free tub of pigaerator pork lard, rendered and ready to go. If you’ve never used lard you’re missing out, as it is so versatile- you can use it anywhere you would typically use oil or butter, while adding flavor and the health benefit of Omega 3's.Now we are getting close to Christmas, but there are still three markets left 'till then - Dec. 9th, 16th, and 20th - so there's plenty of time to get your fixin's. However, we have very few whole hams left, so get online or call Remi asap if you'd like your name on one! I think that covers all of it, and any more details will be in January’s newsletter. Again, thank you guys for your continued support of our farm and family. Should you have any questions you can contact Remi at 816-633-2411, or myself at david@davidspasture.com. It has been one crazy missouri ride the past seven years, and we hope the eighth is just as wild. Merry Christmas and a happy New Year to all of our favorite customers! Pictured above from the left are: Ruby, otherwise known as 'wild child'; Kim, my beautiful mother, and dad's compassionate counterpart; Ryk, my loyal right-hand man; Reeves, the hog whisperer, and full-time blonde; Rex, the black sheep, collector of the eggs and takes care of "the girls"; Ria, your soon to be milk maid and beekeeper; Renan, ladies' man; Rivers, makes sure there is never a dull moment; Ryli, social media manager, mom's right-hand woman; David- or, farmer David, as most of you know him; Reagan, likes to run around barefoot, but hey, she's the tenth; and myself, Remi, 'chick' magnet, duck commander, marketing team, web master, and your friend from IFM.